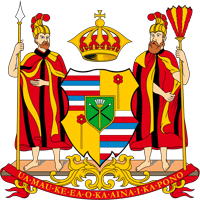 Cheap Hawaii auto insurance quotes, companies, laws, minimum requirements. We help to find cheap auto insurance in Hawaii. If you’re looking for a new policy, you’ve probably deemed it to be a headache. We’re all pretty aware that it’s not the easiest thing to do, or if anything, it’s just time consuming. With that in mind, we’ve developed a quote tool that’s 100% free! We don’t believe anyone should pay an arm and a leg for their policy, so we help you find something that’s more comfortable on the budget. Under Hawaii law, insurance companies may exclude a driver in your household from inclusion on your auto insurance policy for legal reasons. In fact, the auto insurance company may make this request for a person with a poor driving history which poses a higher risk, but don’t be discouraged, it may not discount a person from obtaining cheap auto insurance in Hawaii. If a driver is excluded from the policy, they have no liability coverage but you still have the liability exposure if they drive one of your vehicles and get in an accident. The exclusion must be stated on the policy or on an endorsement attached to the policy. Some exclusions are difficult to spot on Hawaii auto insurance policies so it is important that you read your policy carefully. According to Hawaiian law, you cannot drive without the minimum amount of auto liability insurance and there are no exceptions allowed for this law. Driving without proper insurance is considered as breaking the law, and frankly, it isn’t very smart – especially when there are more than enough cheap Hawaii auto insurance avenues in the state. Insurance in Hawaii will notify the proper authorities if your insurance is dropped or lapses. You can be fined from $1,000.00 to $3,000.00. In addition, you may face jail time as well as the loss of your driver’s license, registration and plates for your vehicle. The state of Hawaii allows insurance companies to check your credit history when they set your premiums and determine whether they will insure you. Paying your bills on time can help to reduce your insurance rates, and that’s paramount if you’re looking for cheap Hawaii auto insurance. The company may ask you to explain any bankruptcies, judgments, or credit problems. The insurance company will also use other criteria such as your driving record, age, type of vehicle you drive and the area where you live to determine your premium rates. Hawaii is a no fault state but only where bodily injury is concerned. The medical bills involved in an accident must be greater than $5,000.00 and the injury must be declared as severe by the courts in order for the responsible party to be forced to pay additional costs. You are not required to carry comprehensive, collision, or uninsured motorist coverage but you will have to carry $10,000.00 of personal injury protection insurance (PIP), and that’s especially substantial if you’re looking for cheap Hawaii auto insurance. Some other types of auto insurance you may carry in Hawaii are wage loss, alternative care, death benefits in the range of $25,000.00 to $100,000.00, funeral benefits of $2,000.00, PIP deductible and PIP managed care. The average insurance premium in Hawaii averages about $853.00 and has the 15th most expensive auto insurance premiums in the nation as of 2006. There are quite a few things you can do if you want to reduce your premium, all in hopes of achieving success in finding cheap auto insurance in Hawaii. A couple includes maintaining a clean driving record and driving a vehicle with a good safety rating. Other things that can affect your insurance are the area where you live and work and the traffic volume in that area. Your age, the age of your car as well as its condition and the type of vehicle you drive, your gender, and your marital status will play a factor in the cost of your auto insurance premiums. It may also help insurance costs to be aware of the top ten stolen vehicles in Hawaii. The list is included below. While these cars are generally targets of theft, it doesn’t mean that you’re not going to receive cheap auto insurance in Hawaii. Although it may be a bit more difficult, you can take solace in the fact that we’re being you the most affordable quotes in the industry. And not only that, they’re from some of the best companies on the market. Try our free quote tool now to see the savings!